This month, The Essentials Report, has curated & analyzed the content published by 90 influencers like JesseJenkins and NRDC, discussing hashtags such as #solar , #wind and #renewable. In the US electric power generation sector, the solar industry employed nearly 374,000 people in 2015-16 – double the number of jobs in oil, coal and gas combined, according to a new report from the US Department of Energy. How many solar jobs are in the United States? Read the National Solar Jobs Census, a comprehensive assessment of clean solar jobs in America. 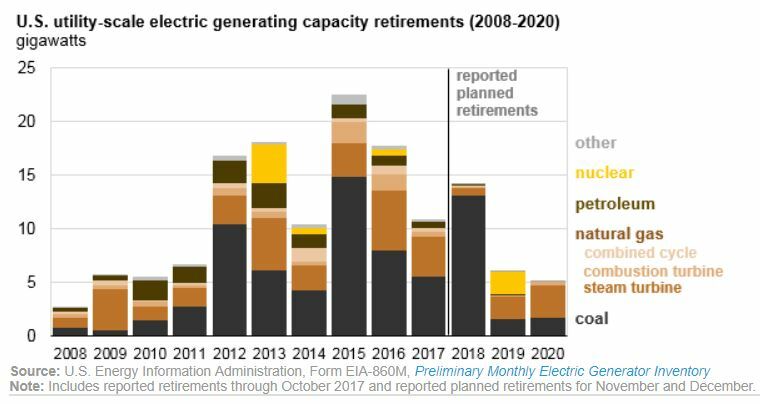 The U.S. Energy Information Administration released its annual long-term forecast for America’s energy system. 2018's big message: despite the administration’s efforts to bolster dirty energy, the nation is still becoming cleaner and more efficient every day. Moniz Joins Southern Company Board, Moves at Energy Storage Association, ViZn, Sunverge, Sungrow USA and more. Rapid Wind And Solar Cost Declines Keep Pushing Fossil Fuel Further From Profitability. How Low Can They Go? The U.S. Energy Information Administration (EIA) provides energy statistics and analyses for sound policy making, efficient markets, and public education. Planet Green offers practical, everyday tips on how to live a greener lifestyle. We offer actionable advice across a variety of topics: green made real. Solar analyst with Bloomberg New Energy Finance, goose keeper. Opinions expressed are all my own. Opinion, Analysis and the Latest Environmental News - A Publication of the Yale School of Forestry & Environmental Studies.